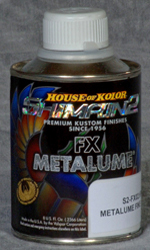 Shimrin2® is the 2nd generation of the proven Shimrin® Basecoat technology introduced in 1982. 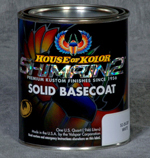 Shimrin2® is the next generation of ground-breaking universal basecoats from House of Kolor. Through new innovative polymer chemistry we are able to meet and exceed waterborne with a solvent based system designed for Kustom Painting. 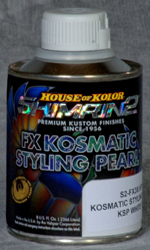 S2-25 Jet Black and S2-26 Bright White are Shimrin2® universal basecoats that may cleared for a final finish, or used as a foundation for Shimrin2® standard basecoats including Kandy Basecoats, and your own Kustom Kreations. The Jetest black and the brightest white are a must-have on every painters bench. 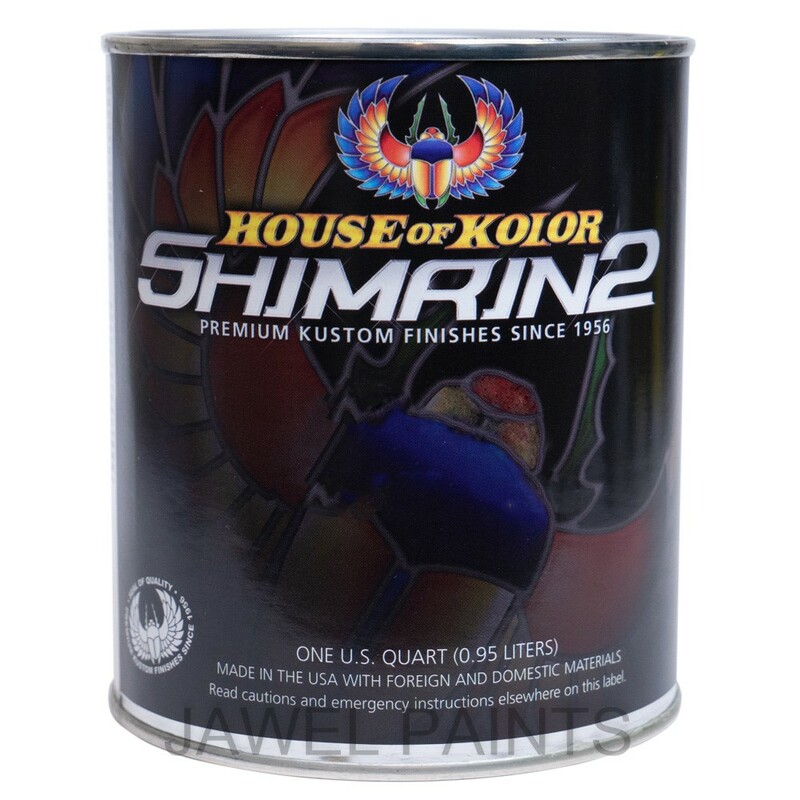 Shimrin2® remains a solvent base system yet meets all VOC rules coast to coast including California. 1) They greatly improve adhesion between the substrate and the base coat. 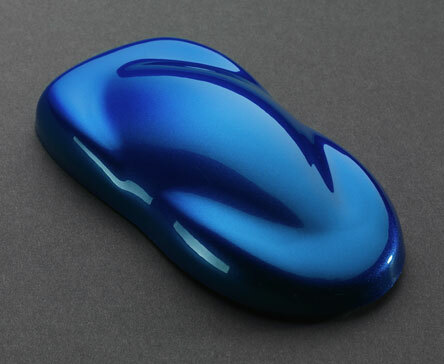 2) They make the vehicle one color thereby reducing the number of coats of base, saving you money. 3) They greatly improve color hold out and finish quality. 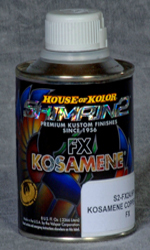 Please be aware that Shimrin® / Shimrin2® bases, Kandy’s and Klears can be susceptible to staining or bleeding from polyester body fillers, putties, fiberglass resins and some primers. To prevent staining, Please refer to the tech pages on KD3000 Series or KP Series Primers. It is important to maintain at least a 2 dry mil film thickness of KD3000 Series DTS Foundation Surfacer Sealer or, KP series over all fillers and putties. NOTE: Typically sealers do not need to be sanded. Do not seal until you are ready to apply the paint. This is where your chemical bond begins. 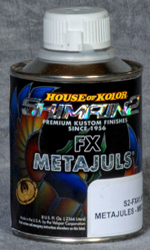 Apply 2 to 3 medium coats of Shimrin2® (S2-25 or S2-26) with a 50% pattern overlap. Allow each coat to flash dull (Typically 5 to 15 minutes) between coats. 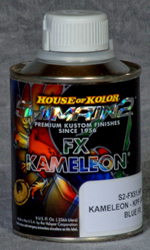 If you intend to do artwork over the Jet Black or Bright White, we suggest you allow the base to flash 30 minutes then apply 2 coats of S2-SG100 Intercoat (see tech sheet on S2-SG100) to protect against tape tracking, etc. Allow to flash from 30 minutes up to a max. 4 hours before top coating with USC01 Urethane Show Klear, or other Kosmic Klears (refer to the tech sheet specific to the Klear system you intend to use). Clean equipment thoroughly with lacquer thinner or urethane reducer (check local regulations). IMPORTANT The contents of this package have to be blended with other components before the product can be used. Before opening the packages, be sure you understand the warning messages on the labels of all components, since the mixture will have the hazards of all its parts. 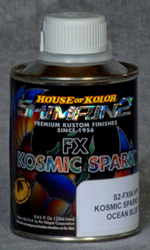 Improper spray technique may result in a hazardous condition. Follow spray equipment manufacturer’s instructions to prevent personal injury or fire. Follow directions for respirator use. Wear eye and skin protection. Observe all applicable precautions. See Material Safety Data Sheet and Labels for additional safety information and handling instructions.